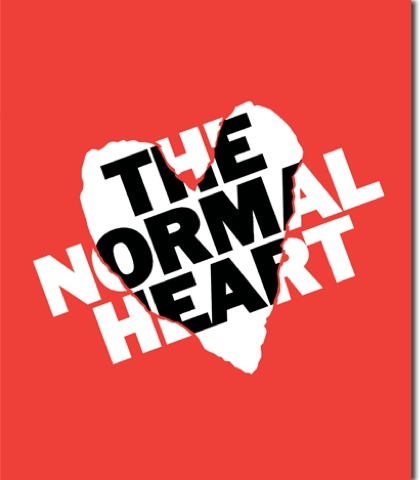 When I found out that they were finally making a film version of Larry Kramer's The Normal Heart, I was excited if not a bit hesitant. I was lucky enough to see the recent production of the show on Broadway which starred Joe Mantello, John Benjamin Hickey, Lee Pace, Jim Parsons, Ellen Barkin and more! Plus, I'd seen the a bootleg of the Public Theater's most recent production. It's an incredibly powerful piece; a play everyone should see or read at least once in their lives. It's a look at the rise of the HIV/AIDS crisis from 1981-'84 in NYC. Seriously, go out and read it. I was thrilled that more people would be able to see it through another medium. 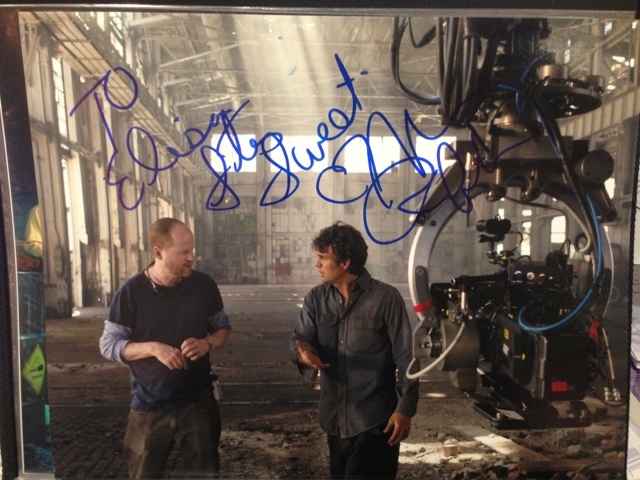 The cast is full of great names: Mark Ruffalo, Julia Roberts, Alfred Molina, Matt Bomer, just to name some. 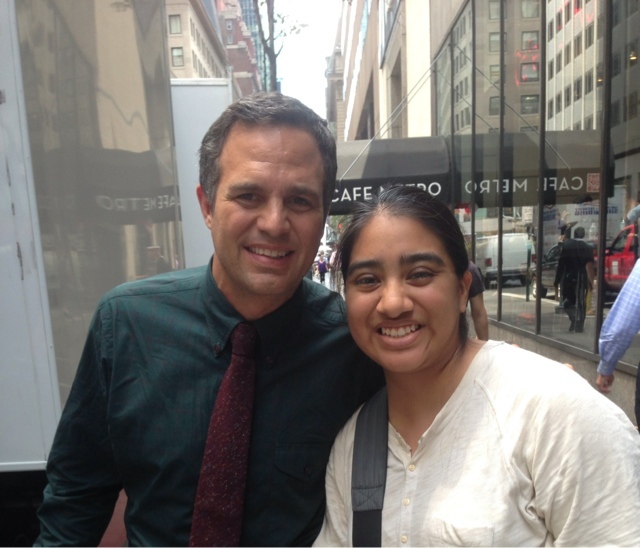 While it was filming in New York, I was able to go to the set a couple of times and was able to meet Mark Ruffalo who plays the lead character, Ned Weeks, an activist who's story is the main focus of the play. I am looking forward to seeing his portrayal of the character so richly played by Joe Mantello who received a Tony Award nomination that year. John Benjamin Hickey's performance as Felix Turner, Ned's closeted lover, shattered me. He won the Tony award and rightly so. In the film, Matt Bomer is in that role. Honestly, I don't think anyone could beat Mr. Hickey's portrayal for me but I'm hoping he gets close. Mr. Bomer was kind enough to sign a White Collar poster for me. He also signed a Superman Unbound shot, which he was excited to sign since it was the first Superman item he'd signed! I am anxiously awaiting the release of this HBO film. I can't wait for everyone to see this incredible story.